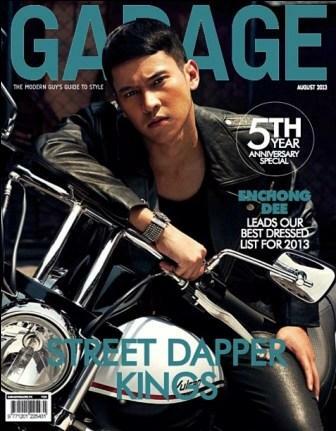 Primetime actor Enchong Dee looks tough and hot on a leather jacket while riding on a motor in the August 2013 issue of Garage Magazine. On the said magazine, Enchong gave life to what is called as "Street Dapper King" which is also the mag's featured topic for the week. The magazine's issue is also their 5TH Year Anniversary Special.